This is CazGear's newest heavy duty ambidextrous IDPA speed mag pouch. 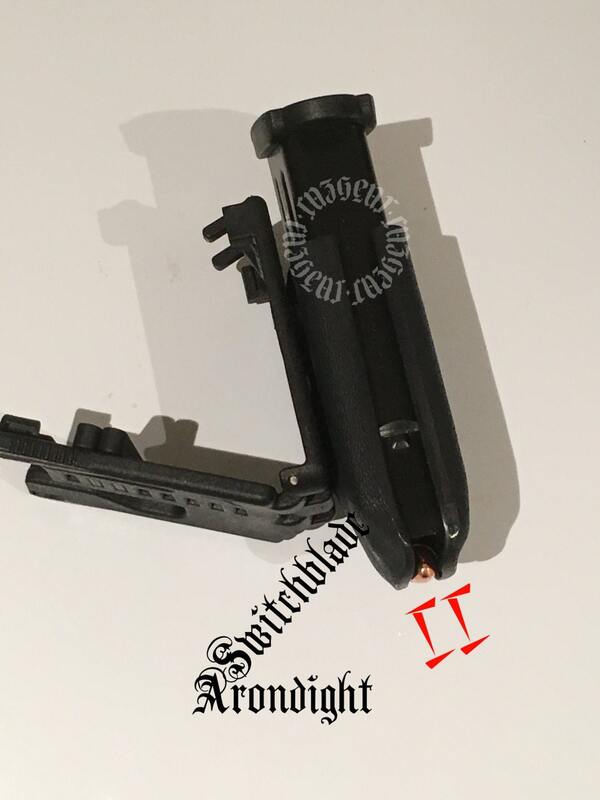 The Arondight Switchblade supports nearly all .380, 9mm / .40 / .45 / 10mm Double Stack magazines. Comes with large Tek-Lok to support mounting on 1 Inch up to 2 inch gun belts. This mag carrier is made of .125 heavy duty kydex made to withstand heavy impact scenarios without compromising utility! Designed for military and law enforcement, this mag carrier is ambidextrous and can be changed to wear left or right side carry. 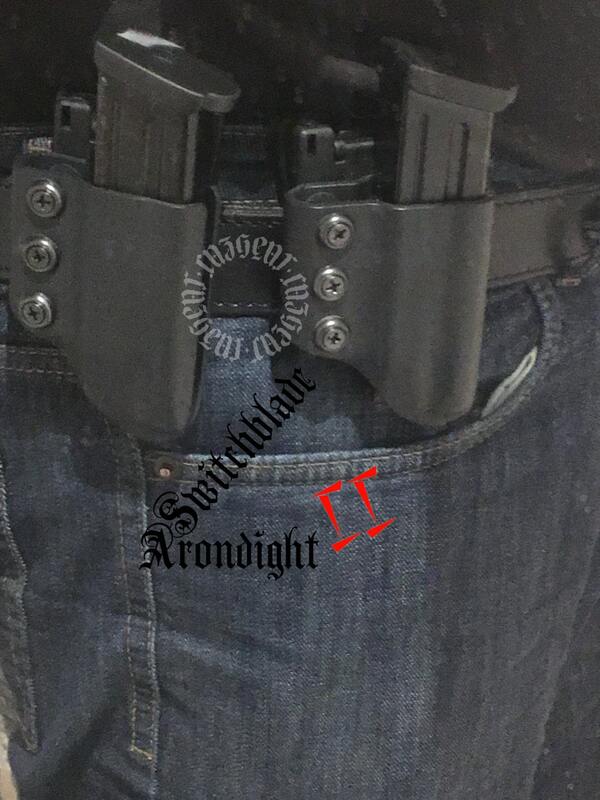 The Arondight Switchblade series mag holster is designed to wear vertically or horizontally on the belt line. 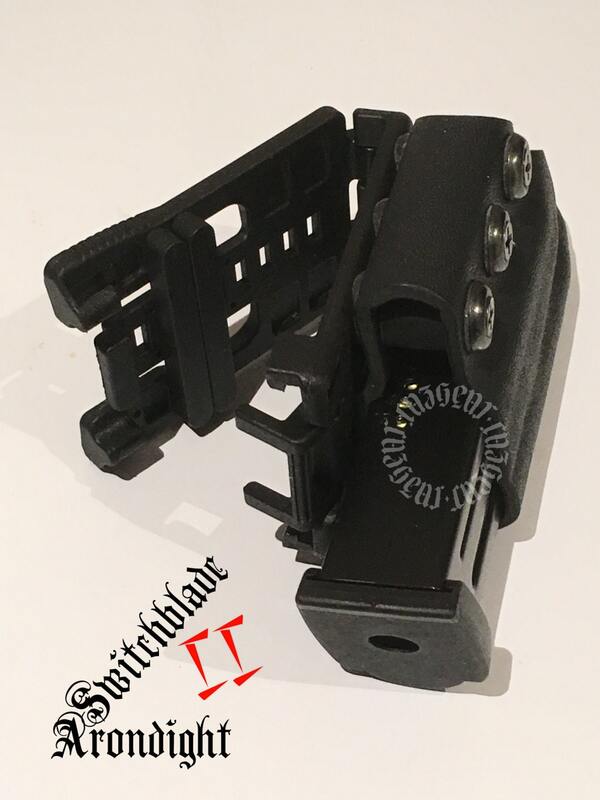 The Arondight Switchblade is designed to allow magazine extraction from the side as well as the top of the mag holster. This allows extraction without raising the shirt first before mag withdrawal.